The organization was formed to provide affordable housing opportunities for households with low and moderate incomes. 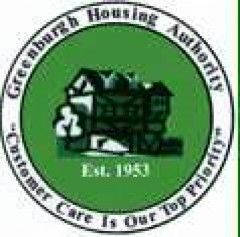 The greenburgh housing development corp is dedicated to assist the poor and distressed by providing affordable housing opportunities for low and moderate income families and individuals. Armory plaza is a senior low income housing apartment subsidized by the federal governments hud (housing and urban development division). Contact armory plaza for complete details on the current vacancies and housing applications. Battle hill houses is a family low income housing apartment subsidized by the federal governments hud (housing and urban development division). Contact battle hill houses for complete details on the current vacancies and housing applications. 82 bank street is a family low income housing apartment subsidized by the federal governments hud (housing and urban development division). Contact 82 bank street for complete details on the current vacancies and housing applications. Station plaza is a senior low income housing apartment subsidized by the federal governments hud (housing and urban development division). Contact station plaza for complete details on the current vacancies and housing applications. 40 mitchell place is a family low income housing apartment subsidized by the federal governments hud (housing and urban development division). Contact 40 mitchell place for complete details on the current vacancies and housing applications.